Did you know that if your internet traffic passes through another country, it becomes subject to the domestic laws of that country, including any online surveillance and censorship laws they may have? Well it does, and for many internet users, and indeed nation states, this is a real concern. But researchers at Princeton have now piloted a new tool that allows users to stop their data passing through a particular country. These days each country has its own internet laws and, like it or not, this is creating an internet with borders. And people are becoming more conscious of the risks this poses. The classic example to highlight this problem is the USA. After the Edward Snowden revelations back in 2013 which revealed the sheer scale of the US Government’s online surveillance programme, many countries and individuals expressed concern about how much of their data the US Government had access to. Depending on where you live, the answer was probably quite a lot. The Princeton researchers have highlighted Brazil as a problematic case in point. Brazil was one of the country’s which expressed concern after the Snowden revelations. And understandably so. The researchers found that around 84% of Brazilian internet traffic transited the USA. They also looking into ‘tromboning’. This is when internet data starts and finishes its journey in the same country but transits another country on the way. In the case of Brazil, around 13% of their internet data was found to be ‘tromboning’ with around 80% of that going through the USA. Brazil is one country which has taken steps to try and address the problem. They have begun construction on a new underwater internet cable across the Atlantic to Portugal. And they have also looked to develop a large ecosystem of internet exchange points to help in-country networks better connect. However, so far, these steps have had a very limited effect. This could be because many popular international websites are only hosted on servers in the USA. 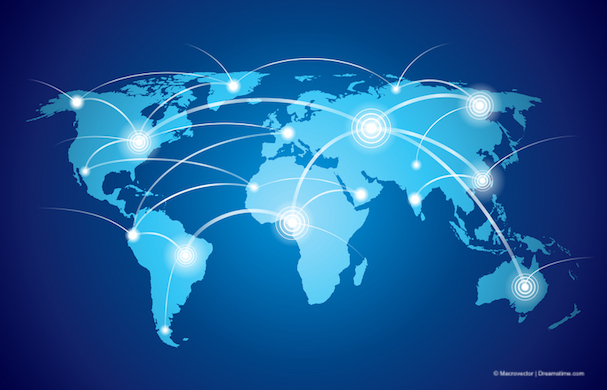 Others provide global access through contracts with content distribution networks, which also only host sites in certain countries. As a result, anyone who visits those sites is unknowingly subjecting themselves to that countries laws. The USA and Brazil is not the only example of this. There are other countries which have problematic online surveillance laws, and which see a lot of international traffic passing through them. The Princeton research team also looked at the likes of Kenya, India, and the Netherlands. They found that all three of these countries passed much of their internet data through the UK, which now has some of the most intrusive online surveillance laws in the world. There were other patterns too, often dependent on the routes of undersea cables. For example, much of India’s traffic passes through Singapore, while a lot of Kenya’s goes through South Africa and Mauritius. So, what can people, and countries do about this? Well, the Princeton researchers have now piloted a tool which they claim can help and hand some control back to users. It is known as RAN (Region-Aware Networking). RAN allows users to reroute their internet traffic to avoid it passing through a particular country. In testing it, the researchers set up a network of relays in ten different countries and then passed data through them to see if it was able to stop internet data from their test countries passing through certain other countries. It showed some impressive results but was not yet 100% effective. For example, without RAN, researchers found only 50% of Kenyan traffic would avoid passing through the UK. With RAN enabled, this jumped to 97%. The real challenge was to try and stop data passing through the United States. The best results they managed for this was for India, where with RAN enabled, 65% of internet traffic avoided the USA. Researchers suggested that the reason for this difficulty could be either that content is only hosted in the USA or that the only route available to certain content passes through the USA. They suggest that a larger RAN network with more relays could make this process more effective. Work on RAN will continue and as the issue of internet borders grows, this tool could become essential for internet users who value their privacy. For now, the best recommendation is to use a VPN, such as ExpressVPN or IPVanish to ensure that all of your data is encrypted. This helps to keep it safe from prying eyes in countries like the USA and the UK, where the Government have decided they have the right to see everything you get up to online.